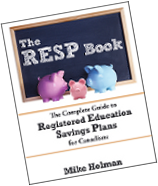 This is a quick post to tell you that once again the RRSP contribution deadline for this year is March 1, 2010. In the RRSP deadline post you can look up the contribution limits for the next five years, find out how to make contributions after the deadline (and still get a receipt) and learn how the deadline is calculated. In the RRSP contribution limits post I list the the limits for different tax years. I did a separate page for these topics because I want to be able to keep the same page current each year by just updating the information. My regular posts have the date in the url which “dates” them a bit. So check out the pages, bookmark them, link to them (if you have a website) and I promise to keep them up to date. I’m planning on doing a few more “back to basics” posts/pages so let me know if you have any ideas for that type of post. Nice thread. I think its good that you noted the 60 day period that can be applied to the previous tax year. When I first noticed and took advantage of this, I thought it was a good option for a young investor.